← The house is up for rent – the car is up for sale – only seven weeks before we leave. Last November when we were in the middle of planning our Gap Year and I was managing my departure from Topaz, we had a fire in our house. We were in bed, when at 3am Nuala woke me to say she heard the smoke alarm downstairs going off. I got up, went down and found the living room fireplace on fire. 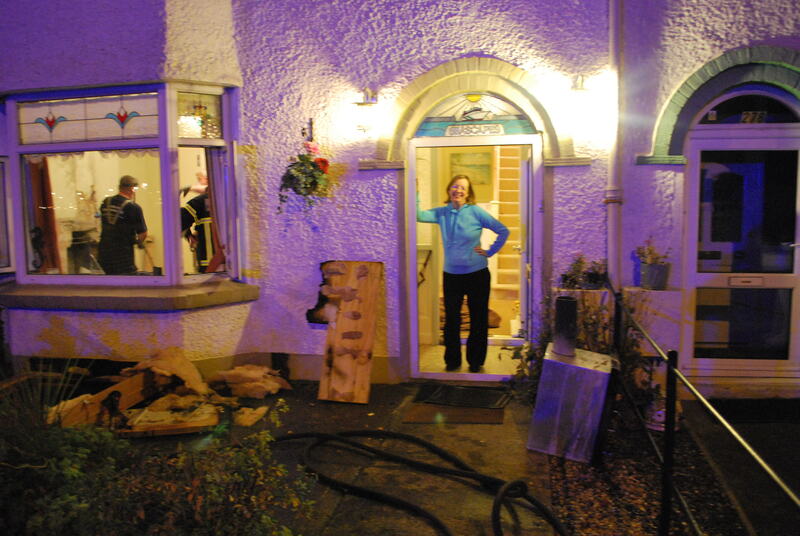 I called Nuala and she arrived with a watering can and we put out the fire, which we thought originated behind the fire place as I could hear a crackling sound coming from there. I went next door and woke up our neighbours David & Marion to make sure the fire had not spread to their house. 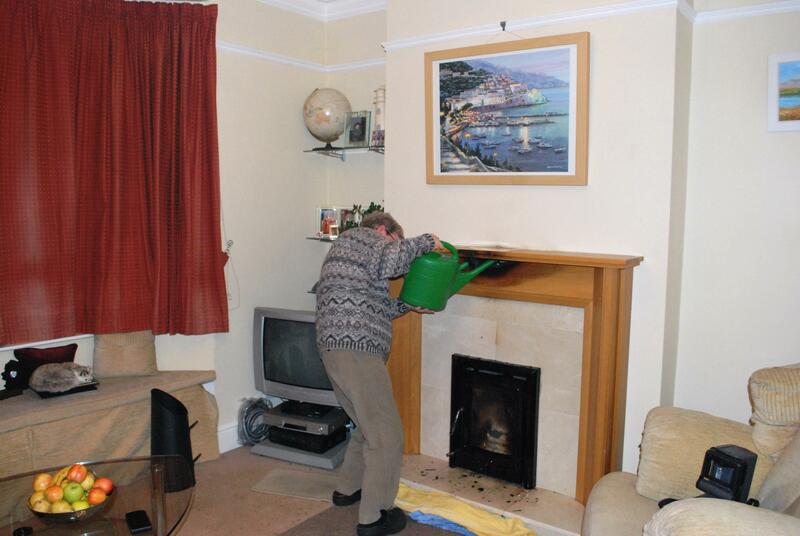 Having checked both houses’ chimneys we believed that the fire seemed to be extinguished but we were not sure so to be on the safe side we called the fire brigade!! 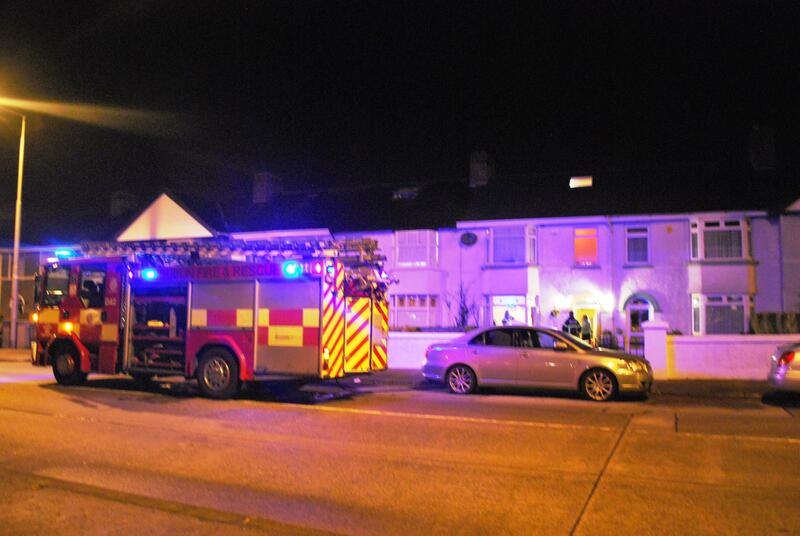 The fire brigade arrived within 15 minutes and checked out the house. 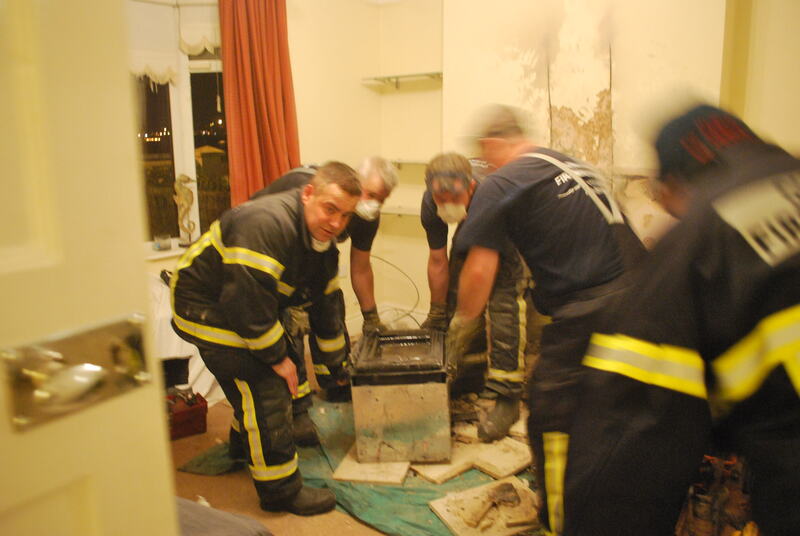 They were not satisfied that the fire was extinguished and proceeded to remove the fire place and break out the chimney breast. 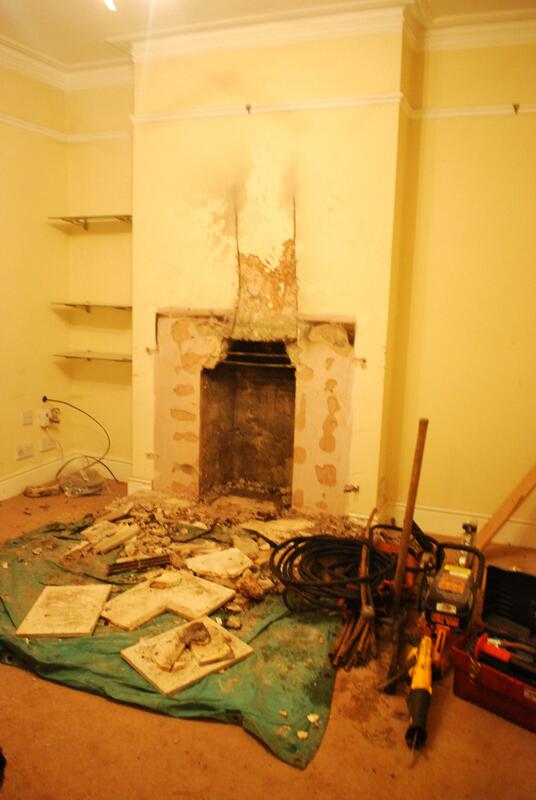 When they had finished we had no fire place or chimney breast. Because of the dust and dirt we had to redecorate the entire room and replace the carpets. The before and after pictures tell the story better than I can! Our insurance brokers Glennon’s and our Insurance company have been excellent. The insurance company staff visited the house within a week of the fire and promptly agreed a settlement figure. The fire was caused because, as a money saving project in January of last year, we had replaced the coal effect gas fire with a solid fuel insert stove. This has saved us a lot of money and was keeping the whole house warm. Unfortunately, the original fire place was not suitable for all the extra heat and over time, the timber work behind it had become tinder dry and had spontaneously ignited. It is now February and we still have not finished the repairs but will do so shortly. 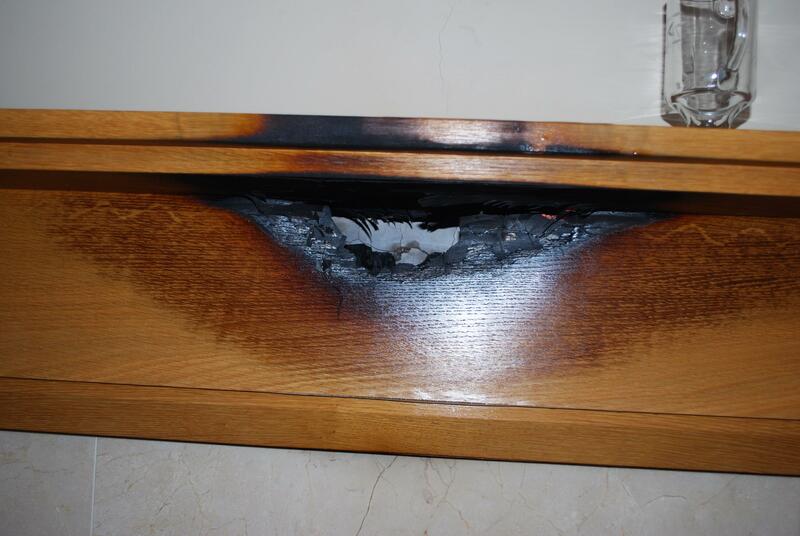 The moral of the story has to be ‘smoke alarms save lives’. If the smoke alarm had not woken Nuala up, the fire would have been out of control in another few minutes and who knows what could have happened to us and our Gap Year! This entry was posted in Getting Ready for Gap Year. Bookmark the permalink.